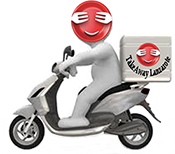 Indian Specialities - Takeaway Lanzarote There are 12 products to choose from. Takeaway Lanzarote - Restaurants Playa Blanca Off the bone barbequed spring chicken cooked in butter, then mixed with creamy sauce and butter to chef's own recipe. Takeaway Lanzarote - Restaurants Playa Blanca Popular King Prawn Dish from Bengal, lavishly cooked in a cream with smooth blend of almond and mango flavour. Takeaway Lanzarote - Restaurants Playa Blanca Marinated Tandoori Grilled Lamb cooked with Capsicum and onion in a thick Sauce. Takeaway Lanzarote - Restaurants Playa Blanca Indian Restaurants Playa Blanca .Spinach Adds variety to this popular dish , which also comes from the Punjab. The meat is cooked together with fresh spinach leaves and a variety of spices to give a distinctive flavour. Takeaway Lanzarote - Restaurants Playa Blanca A Punjabi Dish of Minced Lamb shaped into small balls, cooked with potatoes in a thisck spicy sauce with onion, garlic, tumeric, garam-masala, chopped herbs and chillies. Takeaway Lanzarote - Restaurants Playa Blanca Indian Restaurants Playa Blanca .An exotic Dish from Punjab, chick peas are added to a sauce of spices, ginger, chilli and garlic . A dish to remember.